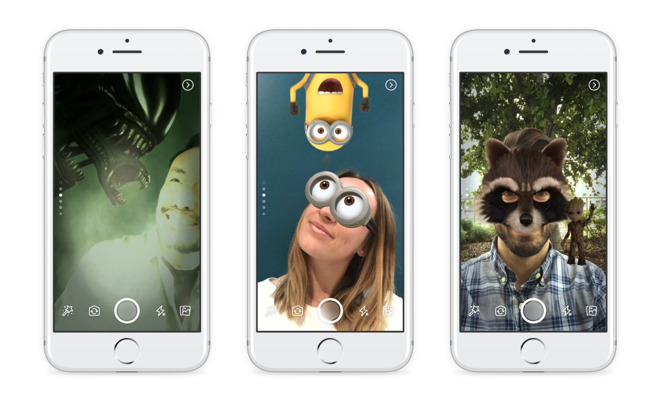 Following a limited test, Facebook began rolling out Stories to all its iOS and Android users on Tuesday, coming alongside a new in-app camera with masks, filters, and other effects. The Stories feature is similar to options in Messenger and Instagram, and by extension Facebook competitor Snapchat, which originated the idea and name. 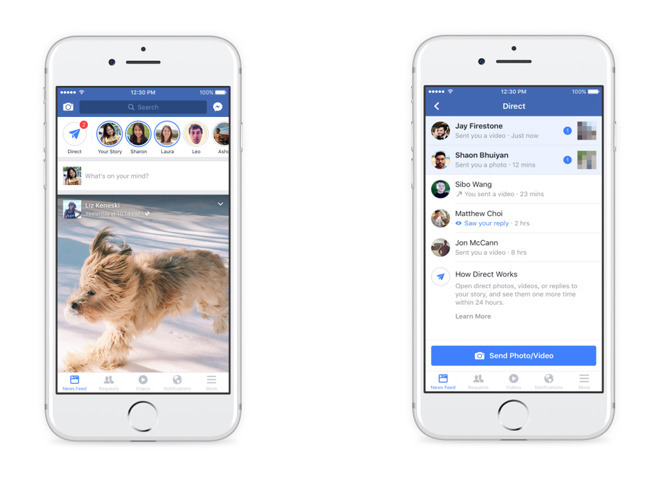 Users can add photos and videos to their Story, which will appear in a bar at the top of friends' News Feeds. Tapping on a friend's Story will play it out, slideshow-style. Each Story is ephemeral, disappearing within 24 hours. A related feature, Direct, lets users send photos and videos to a friend that can typically only be seen twice within 24 hours. People can type out replies, but once a conversation ends the content will still vanish from Direct. The new camera also borrows concepts from Snapchat, letting users attach masks, frames, and filters. "Reactive" effects insert things like snow into a scene, which will respond to movement. Some of the masks are sponsored, meant to sell movies like "Alien: Covenant," "Guardians of the Galaxy Vol. 2" and "Wonder Woman." A few of the effects are from creative artists though, such as Hattie Stewart and Douglas Coupland. In the next several months users will be able to build their own frames and effects. The latest version of Facebook for iOS is a free download, and runs on any device with iOS 8 or later. Stories, Direct, and the new camera may not be immediately accessible. Facebook has faced public criticism for increasingly copying Snapchat, most notably from model Miranda Kerr, the fiancee of Snap CEO Evan Spiegel.